The Ordinary Girl : Sugar & Cakes .. Whatever it takes! Sugar & Cakes .. Whatever it takes! And of course desserts, I think, are the most important part of meal. In my younger weight-gain-damn-care days, at every party I would check the dessert and then decide how much I needed to eat the starters and main course. Every dessert was my favourite! Now that I have crossed thirty :(, whatever I eat is visible not only my Instagram and Facebook newsfeed but also on my waist and the increasing number on the weighing machine. 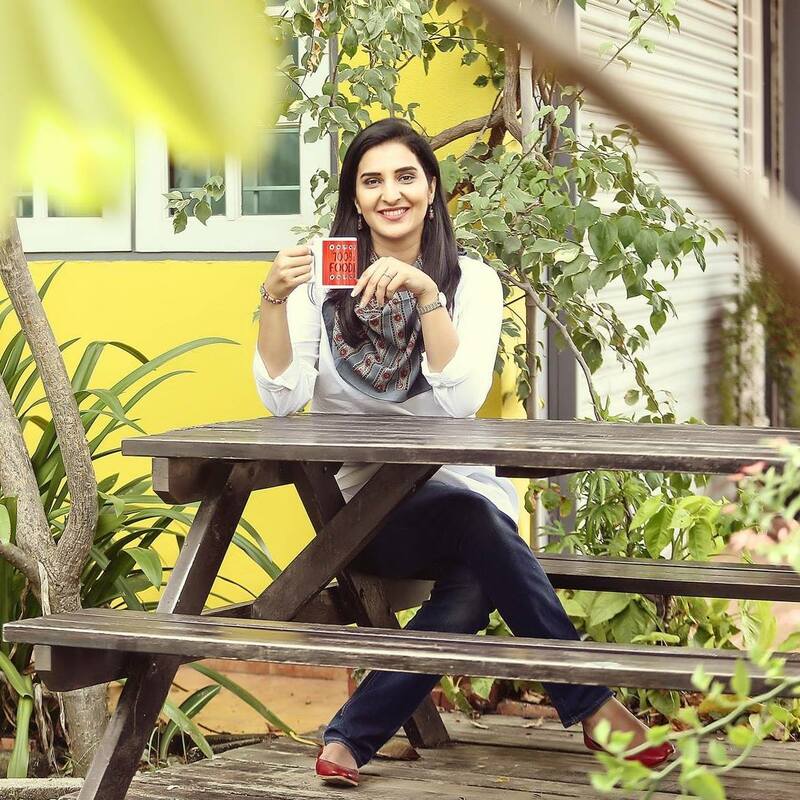 I have to play a bit more smart and try not to 'waste' calories and eat only what I love the most! Paying homage to my list of current favourites! Pavlova is a meringue based cake with a crisp crust but soft and light inside. 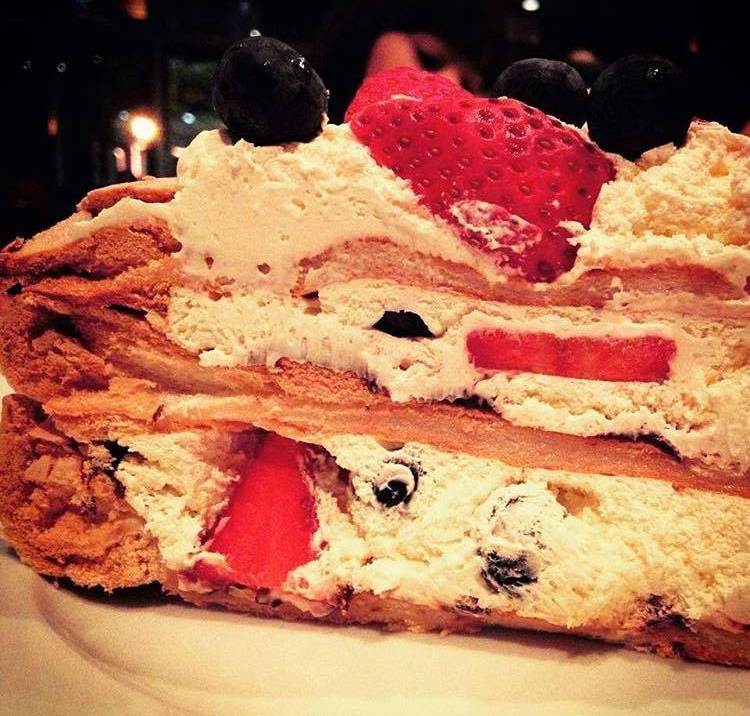 It has layers of whipped cream and fruits. It looks huge but trust me, I can gobble it all up in just a minute! You can challenge me! Seriously! ..... Please do! 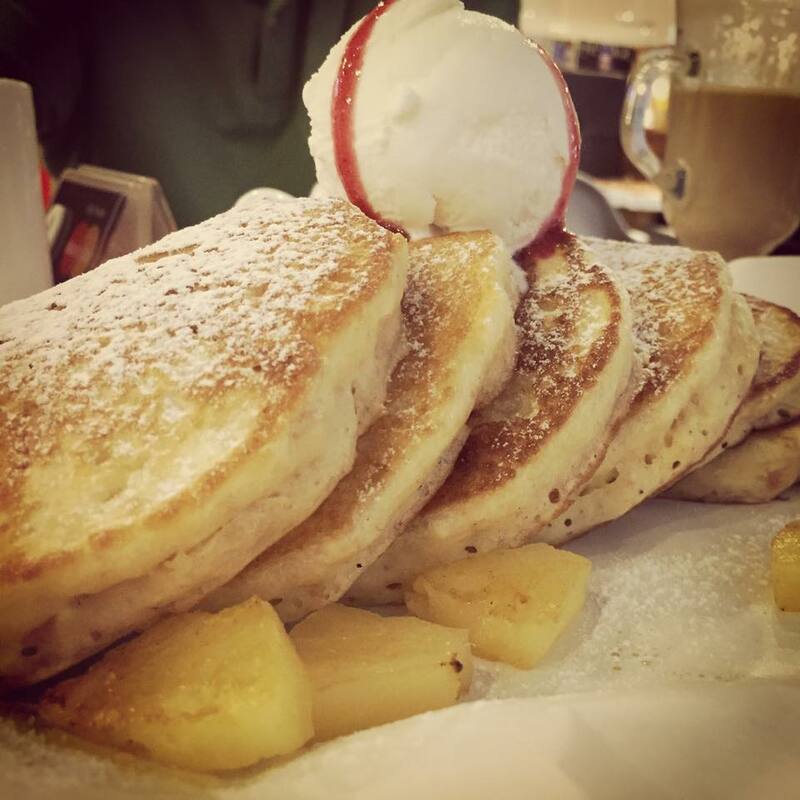 Though, a breakfast dish but these delicious pancakes from Paddington House of Pancakes can be eaten as a dessert or anytime just like that. There are plenty of flavours on the menu to choose. At one time, Paddington House of Pancakes used to have a pancake buffet! An ultimate treat for people like me! I love their cheese and blueberry pancakes the best but I think all the flavours along with their breakfast options are really good! My favourite breakfast set is the 'Classic Buckleberry' which comes with blueberry pancakes, scrambled eggs, mushrooms and beef bacon... Yum! I enjoy this scrumptious beauty every time I visit Chili's. Most of the times hubby and I only order starters and then indulge ourselves in this sinful dessert that has a moist chocolate cake with melted chocolate center and vanilla ice cream on top with a crust of chocolate. It is heavenly! It can make you happy whenever you are sad. Guaranteed. During my visit to Turkey, we randomly walked into this shop Saray Muhallebicisi to have apple tea and something sweet to eat. I just randomly selected this dessert from their showcase. I think it was one of the BEST random food decision ever! The best I had was at Taksim Square, Istanbul from the same shop. So far I haven't tasted a better one. I have tried at a few places in KL but this was the best. 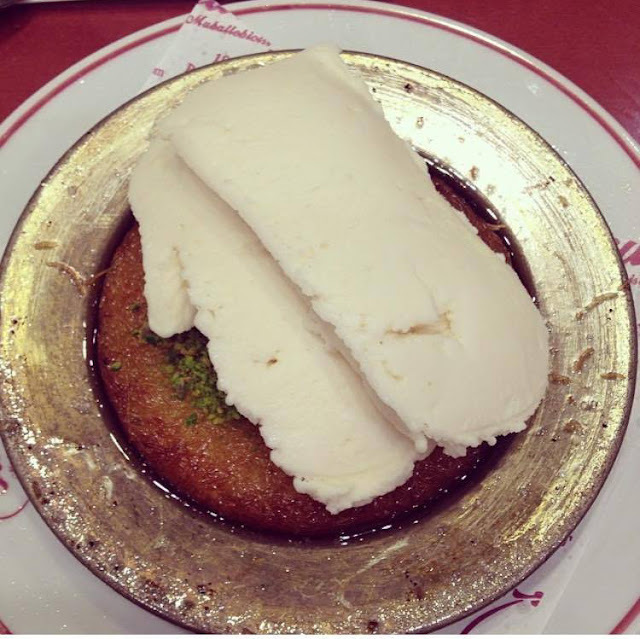 Kunefe is like a pancake of thin, crunchy noodles called Tel Kadayif (the same thing that Baklava is made of). 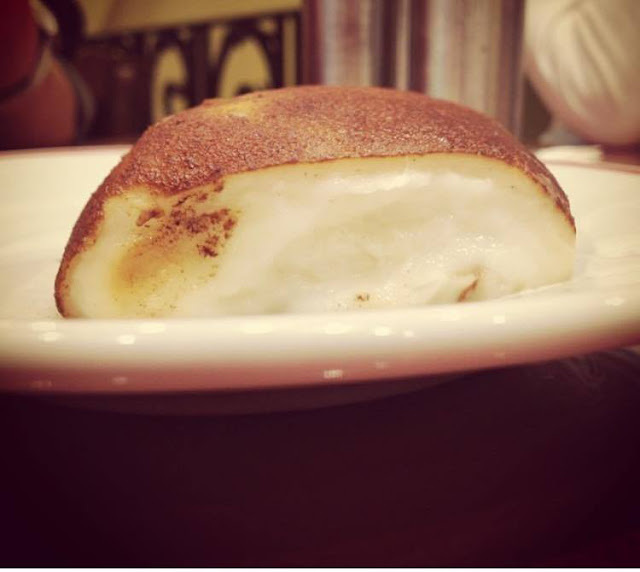 It is stuffed with a layer of unsalted melted cheese and must be served as soon as it is cooked. 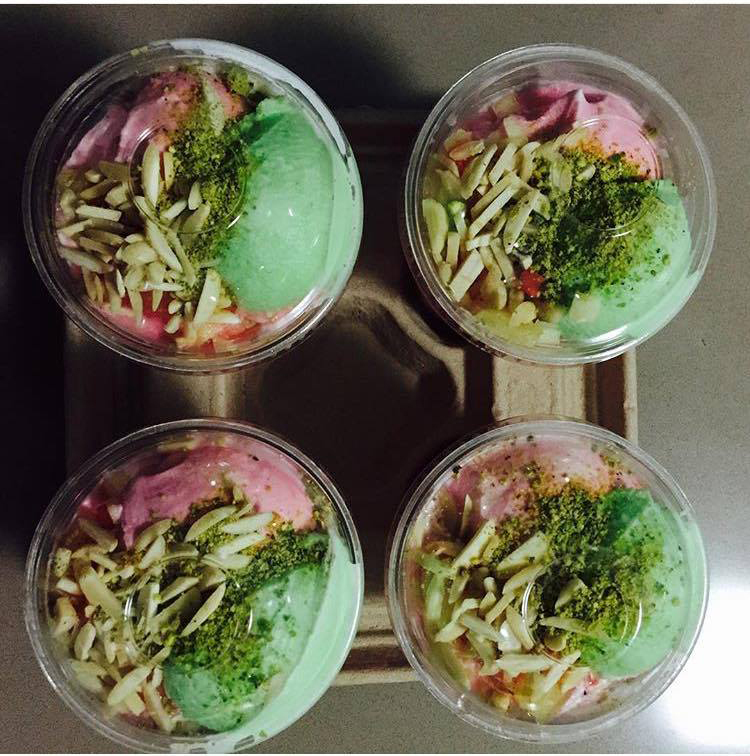 At Saray Muhallebicisi it was served on a hot metallic plate with bubbling hot sugar syrup, sprinkled crushed pistachios and a dollop of vanilla ice cream on top! The blandness of cheese was balanced by the sweetness of sugar syrup. It sounds very sweet but it is not. It is just one of the most perfectly sweet, delicious Turkish dessert. Yes I also do have a 'less sweet' favourite. Recently added to my favourite list and is going really strong. 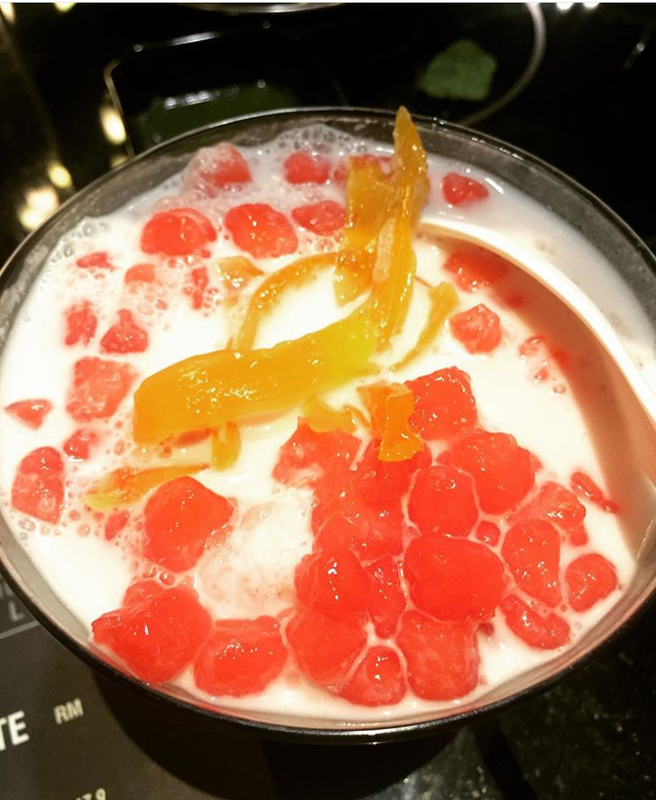 It is a coconut milk based Thai dessert with crushed ice and water chestnuts because of which it gets its name 'Red Ruby'. Shredded Jackfruit, jellied and fresh coconut are also added. My absolute favourite is from Absolute Thai but the one served at Busaba Heavenly Thai is also really good. It is usually eaten in hot weather because of its cooling effect but for me, after a hot and spicy bowl of Tom Yam soup, this is a definite order! Small, little balls of happiness. Some people find them very sweet but what is a dessert if it is not sweet? You will find them abundantly in Pakistan, India, Sri Lanka and also Nepal where they are called Lal Mohan. 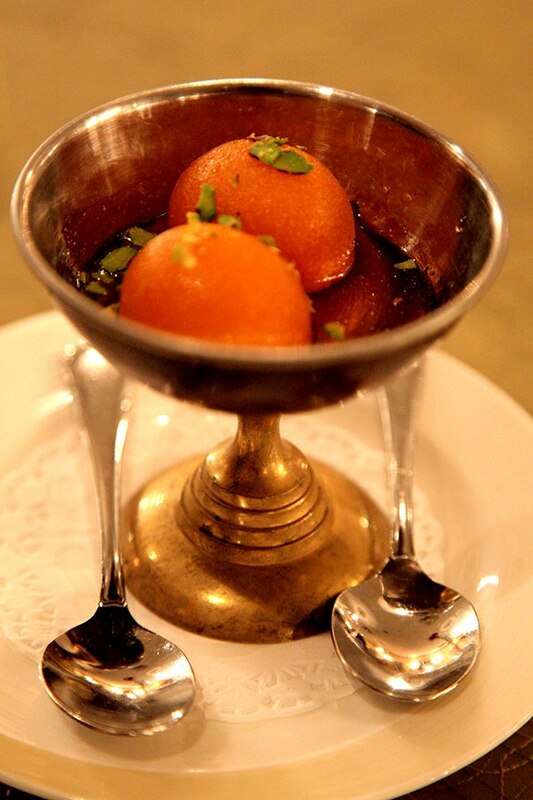 Gulab Jamans are made of milk-solids. Milk solids are made when milk is cooked till all the water evaporates. Milk-solid or khoya (the Urdu name) is kneaded into small balls and deep fried. Once fried, they are soaked in hot cardamom flavoured sugar syrup from where they get their sweetness. I recommend heating them in microwave for 30 seconds or less before eating. They should also be served and eaten hot. I think I just gained a few kilos by looking at my own yummy list ..... but will that stop me? I want to try Kazandibi!! Wow!!! You just provided a great list of tasty food here. Pancakes and chocolate cake within this list are just my favourite. I need to try these, they are must not items. They are delicious and enjoyable. Really, pavlova is very delicious dessert with so much fruit topping. Very sweet and yummy dessets for all! Looking at those photos, I'm already salivating! They all look delicious! I want to try all of them. I was suppose to say which I like most on the sweets but looks like I would love to try everything. I'm such a sweet tooth. Now, I am craving for desserts. I've heard about pavlova but haven't tried it yet. Does it taste similar to meringue? My favorite dessert is cake, and I would really like to try each and every cake you showed here. So disappointing to learn that this is not in my country at all. I would like to try the Pavlova. I somehow got the impression that it tastes like Mango Float. You should post the recipe for it because I would like to make some. Oh my... the desserts are so so tempting. 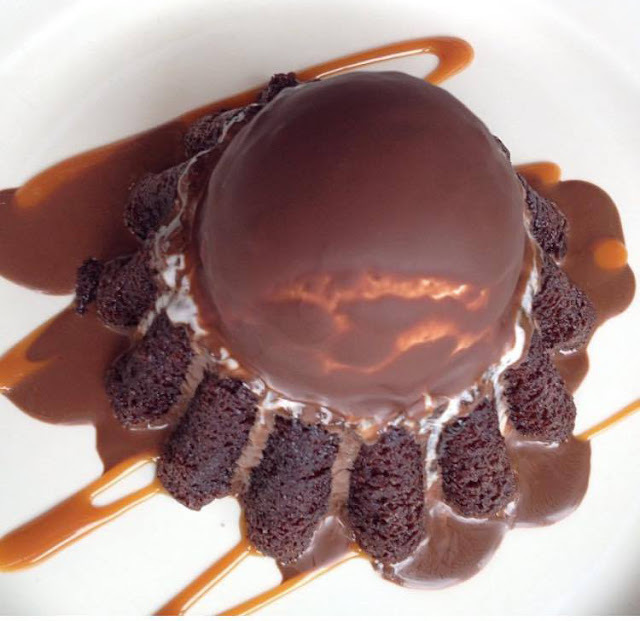 I believe many girls including myself will want to try the Molten Chocolate Cake, yummss. I bet those who have sweet-tooth are delighted to see these desserts. It's sinful yet still inviting for me who's shedding off weight up to 5 kilos. Mouth watering, though I don't have sweet tooth. Churros is another fav of mine. I can never live without these sweet treats, they are definitely the best way to finish a good meal or to start it. Lol. Pavlovas are such a delight and it's perfect for the summer because of all the fresh fruits! Love pavlova! It's the perfect ending to any meal. The ones I've had are not too sweet, just right. i am a weird person because whenever I am in a restaurant I alternate my main course or appetizer with my dessert.